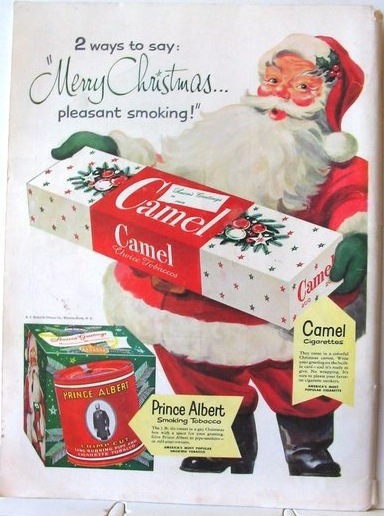 All I want for Christmas is cancerous lungs. Or high blood pressure, or emphysema, or chronic bronchitis, or atheroma, or macular degeneration, or mouth ulsers, or chest infections, or diabetic retinopathy, or tuberculosis, or multiple sclerosis, or Crohn's disease, or early aging. Really, Santa, any of these will do.